Our purpose is to build relationships that support each other in our journey of faith. Come Journey with us! Visit our Facebook page for current events and updates. 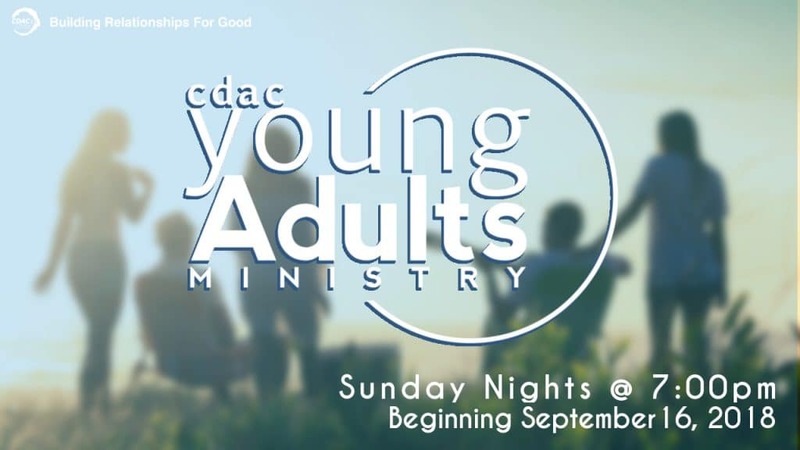 If you have any interest in being involved or simply want to be kept up to date about what’s coming next, send us an email at youngadults@cdac.ca so we can keep you connected.